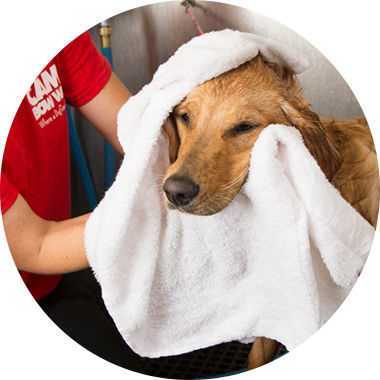 Contact us at(401) 250-3595 to learn more about our dog grooming services. Fresh & Clean Baths include shampoo and blow dry. Services include: shampoo, blow, ears, nails, and haircut. Full service cuts are by appointment only. The prices listed above for cuts are the base prices and may increase depending on the type of cut desired. This service is for dogs that are extremely unmanageable and require two people to groom.